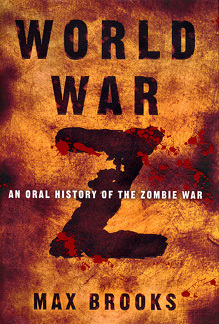 In 2006, Max Brooks published his novel, World War Z: An Oral History of the Zombie War. Granted, there isn’t a high standard out there for zombie literature. When people think of books involving zombies, it’s either World War Z, The Zombie Survival Guide or The Walking Dead (which is a graphic novel series). My point is: standards may be low when it comes to zombie-related reading material. That is not to diminish the writing talents of Max Brooks. Author of both World War Z and the Zombie Survival Guide, Brooks is certainly an accomplished author. While the quantity of notable zombie literature is low; the quality is high. 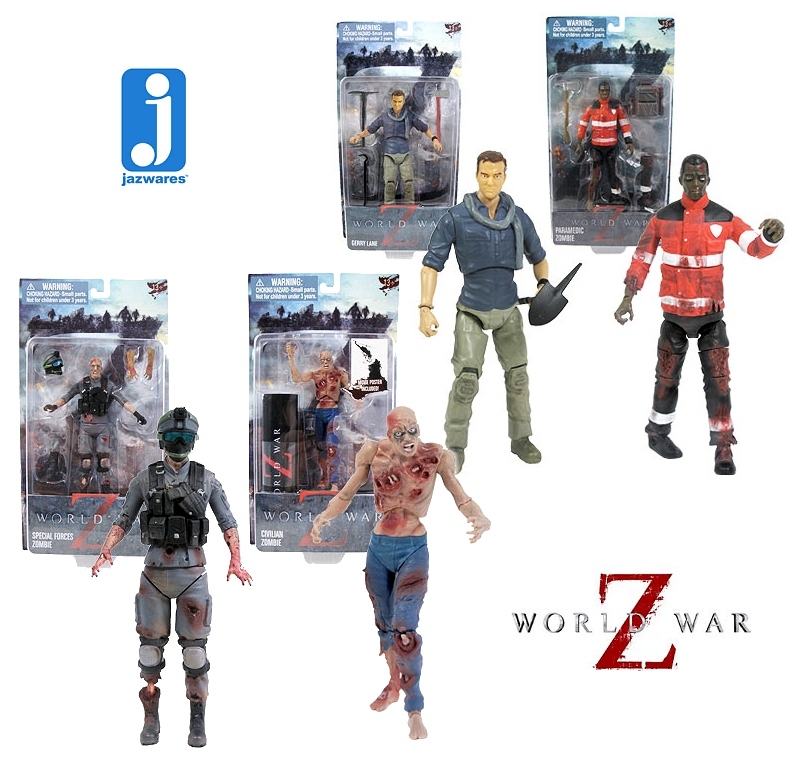 World War Z: An Oral History of the Zombie War is an incredible narrative woven together using short stories to tell a surprisingly believable “what if” scenario. The Zombie genre may be over-bloated with material but trust me: this book is worth checking out, it’s fame is well-deserved. If you haven’t read it yet: check it out. World War Z: An Oral History of the Zombie War was so successful that there was actually a bidding war for the film rights. Two companies, Appian Way (owned by Leonardo DiCaprio) and Plan B Entertainment (owned by Brad Pitt) vied for the film rights. At this point: it’s pretty easy to tell who won. For Pitt, it was a personal project that he wanted to do for his children, who were enormous fans of the zombie genre and of the book… so what happened? Those out there who have read the novel and seen the adaptation already know: the movie is not the book… not even a little bit. They both have zombies in them and involve Israel, I’m being honest when I say that the comparison ends there. To give World War Z an equivalent as an adaptation, I would look to the 1998 version of Godzilla. Both adaptations make sparse use of their source material, opting instead to go with something more generic and easily marketable. In my opinion: this adaptation technique didn’t work (in either case) and crippled what could have been powerful film-making. I had yet to read the book when I saw the trailer but even then I knew that changes had been made. The zombies weren’t supposed to be running. But I digress, I do not wish to review World War Z. Plenty of critics have already done that. Simply saying I did not care for the film is enough. Let’s instead discuss how a passion product for Brad Pitt became a film that could have easily gone by any other, zombie-related, title. After Plan B secured the rights to film adaptation, Babylon 5 creator J. Michael Straczynski was hired to write the screenplay. He did, two drafts of it apparently. For any out there very curious, here is the second draft of that script. This screenplay was close to the book but deviated in a few areas. Certain locations (like the battle of Yonkers) were altered and the focus shifted slightly for the triumphant spirit of humanity to who was to blame for the zombie outbreak (hint: George W. Bush). Max Brooks never had any say in the film version of his novel but expressed approval at Straczynski’s work. However, Studios weren’t convinced and the film hit problems. Matthew Michael Carnahan was brought in to make script rewrites and Paramount (the studio who had initially agreed to distribute the film) looked for a partner to share in the costs. Certain actors increase profits. Brad Pitt increases profits. Brad Pitt with beautiful hair: millions. No second studio ever entered the picture but with Brad Pitt confirmed to star, Paramount funded the product anyway. Filming began in July 2011 and ended by 2012… only to start again. The reason: the ending. 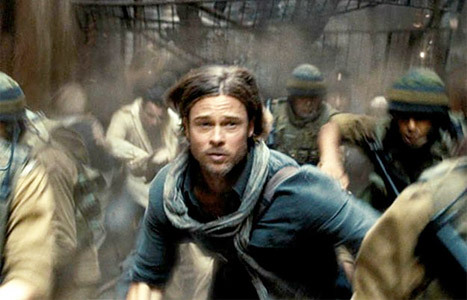 The original ending of World War Z has never been seen but has been revealed. Considerably darker and more open-ended (the War is far from over in the original draft), Studios feared that the original ending would not be well received. The “camouflage” ending was an invention of cinema. As Brooks wrote many times in his novel: there was no easy way out. Damon Lindelof and Drew Goddard (both of Lost fame) were brought in to completely rewrite the film’s third act. The result was that production had to resume and nearly forty minutes of new material was shot. The ending was re-envisioned to be more hopeful and action-oriented, better appealing to the summer blockbuster crowd. Various political subtexts were also toned down to make the film more approachable. In regards to art, there is a belief that I hold: art for everyone is art for no one. What I mean by this is that when you try to alter something to make it please the masses, you inevitably lose what was unique about that piece in the first place. There is no piece of work created by any human being that has ever fully appealed to everyone. More accessible meant more merchandising. Because everyone likes toys. That being said, I cannot claim World War Z a complete failure: the studio succeeded in their goal. 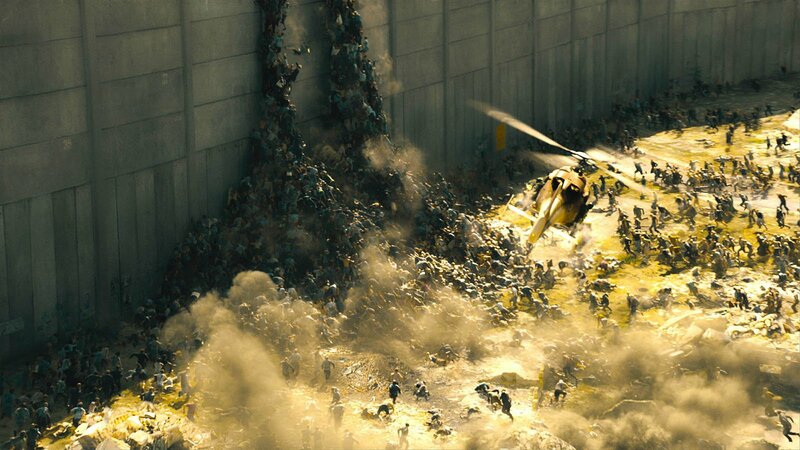 Despite going over budget (125 million became 190 million), World War Z went to gross over $540 million worldwide. Enough success to warrant a sequel and be a surprise financial hit in 2013. So mission accomplished… I just don’t agree with the mission. 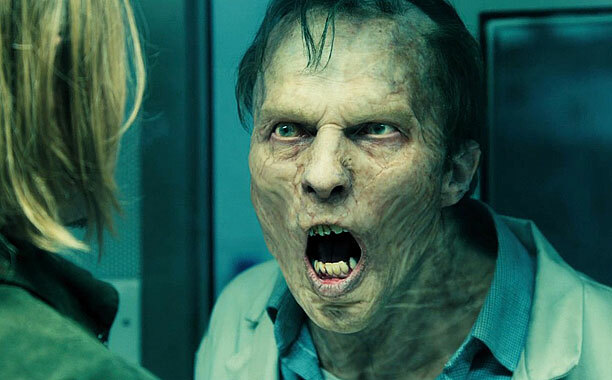 World War Z: An Oral History of the Zombie War is not a novel for everyone. It is dark and brutal and realistic while still being fantastical (it reads like a war history… against an undead opponent who eats people). While action occurs, it isn’t the focus. So those out there wanting mindless entertainment would be disappointed in it because the novel is simply too smart. It forces the reader to think and question aspects of humanity. It is depressing and uplifting and many emotions in between. The film was a product, a predictable outcome after so many complications. The novel was art. There’s the difference. There’s where they went wrong.